Sultan Al Habsi Deputy Governor of the Central Bank of Oman talks to Global Finance about special economic zones, foreign investment, and state-of-the-art logistics. 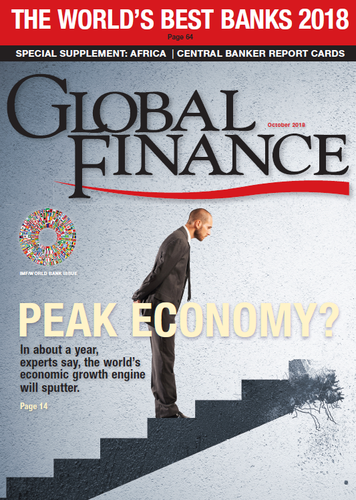 Global Finance: What are the main economic and financial challenges in Oman today? 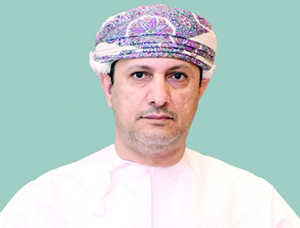 Sultan Al Habsi: The Omani economy is getting back on the nominal growth trajectory since last year. Nonetheless, the country continues to face a twin deficits problem - i.e. deficit in fiscal and current accounts. Although there have been some tangible efforts to diversify, the hydrocarbon sector still remains the main driver of the economy. The challenge for Oman is to reinstate macroeconomic balance on a sustainable basis, and to reduce dependence on the hydrocarbon sector. The concerned government authorities are currently making policy efforts to deal with the above challenges. The highest priority is diversification. Special initiatives and programs are being implemented in five sectors: manufacturing, tourism, logistics, fisheries and mining. We are also promoting private sector participation in the economy. Diversification would help reducing fiscal and current account deficits, as it would boost the government’s non-oil revenues, reduce imports, and expand non-oil exports. The banking sector remains resilient with banks capitalized adequately and non-performing loans at a very low level. The bank credit growth is also likely to accelerate in the near future with recovery in economic activities. GF: If we look at the region, what are your main concerns? Habsi: The different Gulf countries are confronted with concerns that are very much alike. Since the hydrocarbon sector remained the mainstay of our economies over the years, the region has been suffering from the Dutch disease phenomenon, which resulted in a lower contribution of manufacturing activities. As movements in oil prices largely condition the business cycle, the economic activities in the Gulf region are sometimes subjected to extreme swings. Such large swings can be quite disruptive - with severe ramifications for macro and financial stability, as well as for the labor market. The best remedy to insulate the region from the uncertainty of oil prices is diversification. It is pivotal if we want to ensure sustainable growth over the medium to long run, and to address the concerns related to financial stability, unemployment etc… Almost all the countries in the region are striving to diversify their economies by encouraging private sector-led growth. The fixed exchange rate arrangement - which has been serving us very well as a nominal anchor, provides certainty to the investors and would help in attracting foreign investment in the region. GF: What is Oman’s position in the global economy today? What are your perspectives? Habsi: Oman is a small, open economy that relies greatly on hydrocarbons. The country’s position in terms of contribution to the global economy is not that significant. Oman’s share in world GDP, based on purchasing power parity, was just 0.15% in 2017. In terms of hydrocarbon reserves too, Oman does not find a place among top countries, as it is ranked only 22nd for proven oil reserves in the world. Oman is, however, located strategically with a very well developed infrastructure network encompassing roads, ports, and airports, and it has the potential to become a gateway to the entire Gulf region for international trade and investment. It is noteworthy that policy efforts are being made towards this objective. Oman has been encouraging foreign investment through, inter alia, special economic zones (SEZ). In fact, going forward, state-of-the-art logistics infrastructure in conjunction with SEZs makes Oman an ideal place for foreign companies to set up their ventures that cater to the Gulf region and Asia. The government’s focus on upgrading the human capital and technology is also a positive step to attracting foreign investment and turning the country into a regional hub for trade and investment activities.